Seeds have no dormancy periods and can be planted as soon as they are mature. In the nursery, plant seeds every 2 cm in lines 20 cm apart. After a few weeks, remove excess plants to leave one seedling every 10 cm. The trees can be transplanted after one year, but will be very fragile. Alternatively, seeds can be planted directly in the field. Experience to date suggests that direct seeding will give faster growth. Planted in plastic sacks, trees can be transplanted after four to six months. The soil mixture for the sacks should be light, i.e. 3 parts soil to 1 part sand. Plant two or three seeds in each sack, one half centimeter deep. Keep moist but not too wet. Germination will occur within two weeks. Remove extra seedlings, leaving one in each sack. Seedlings can be out-planted when they are 60-90 cm high. The ground where the trees are to be planted should be light and sandy, not heavy with clay or water-logged. Compost or manure can be added to planting holes, but are usually not necessary. Water the planting holes one day before out-planting the seedlings. Be careful, when out-planting, to keep the soil around the seedling’s roots intact. Carefully cut open the sack with a razor and place the seedling in the planting hole. Plant seedlings in the late afternoon to avoid the hot sun the first day. Pack soil around the seedling base. Do not water heavily for the first few days. If the seedlings fall over, tie them to a stick for support. Planting cuttings will result in the fastest growth, but it is debated whether the resulting trees are superior to those planted from seed. Some sources claim that trees grown from cuttings will produce superior fruit. Others, on the contrary, have observed that trees grown from cuttings produce inferior fruit and have a more shallow root development, thus making them more susceptible to drought. Use hard wood, not green wood, for cuttings. 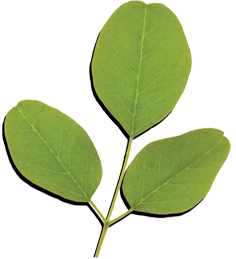 Cuttings can be 45cm to 1.5m long and 4-16cm wide. Cuttings can be planted directly or planted in sacks in the nursery. Cuttings ends should be left to dry in a shady, dry place for three days before planting. When planting directly, plant the cuttings in light, sandy soil. Plant one-third of the length in the ground (i.e., if the cutting is 1.5m long, plant it 50cm deep). Add nitrogen to poor or degraded soils, if possible, to encourage root development. Do not overwater; if the soil is too heavy or wet, the roots may rot. When the cuttings are planted in the nursery, the root system is slower to develop. Cuttings planted in a nursery can be out-planted after 2 or 3 months. Moringa trees do not need much watering. In very arid conditions, water regularly for the first two months and afterwards only when the tree is obviously suffering. If left alone, a Moringa tree has a tendency to grow up straight and tall like a mast, putting out leaves and pods only at its crown. To encourage production of many branches and pods within easy reach of the ground, cut off the central growing tip when the tree is 1.5 to 2m high. Regularly cut off the growing tips of the branches so that the tree will become bushier. (Growing tips can be eaten). Another suggestion is to cut each branch back by 30cm when it reaches 60cm in length. This will produce a multi-branched shrub. If the trees are being grown for pod production, it has been recommended to remove the flowers the first year as this will increase the pod yield the second year. Older trees which are unproductive or too high for easy harvesting can be cut off at ground level. In southern India, unproductive trees are cut down to a stump from which one or two shoots are allowed to grow. Cuttings 2m long and 4-5cm in diameter are taken from these shoots for the plantation of new trees. Spacing of trees in the plantation will depend on the type of soil and end-use of the trees. Recommended spacing is anywhere from three to five meters. For intensive production of green matter, Moringa can be densely seeded (i.e., 100 seeds per square meter) and the edible shoots cut, like grass, every two or three weeks. Trees are often spaced one meter apart (or less) in a line to create living fence posts. Trees can be planted in gardens; the light shade given by Moringa trees will help those vegetables which are less tolerant to direct sunlight. Trees are often used to support climbing crops such as yam and pole beans. However, Moringa trees are said to be highly competitive with eggplant (Solanum melongena) and sweet corn (Zea mays) and can reduce yields of these plants by up to 50%. Moringa trees will generally grow well without fertilizers. In some parts of India, however, ring trenches are dug about 10 cm from trees during the rainy season and filled with green leaves, manure and ash, then covered. This is said to promote higher yields of pods. Research done in India showed that applications of 7.5kg farmyard manure and 0.37kg ammonium sulfate per tree can increase pod yields threefold. Moringa is resistant to most pests. In very water-logged conditions, Diploidia root rot can occur. In very wet conditions, seedlings can be planted in mounds so that excess water is drained off. Termites can be a problem in some areas and various caterpillars will eat the leaves. Cattle, sheep, pigs and goats will eat Moringa seedlings, pods and leaves. Protect Moringa seedlings from livestock by installing a fence or by planting a hedge around the plantation. For mature trees, the lower branches can be cut off so that goats will not be able to reach the leaves and pods. Leaves: For making leaf sauces, use seedlings, growing tips or very young leaves. Older leaves must be stripped from the tough and wiry stems. These are more suited to making dried leaf powder, since the stems can be removed during the sifting process. Pods: Moringa trees will flower and produce pods whenever there is water available. If rainfall is continuous throughout the year, Moringa trees will have a nearly continuous yield. In arid conditions, flowering can be induced through irrigation. In some cases, it may be necessary to prop up a branch which holds many pods to prevent it breaking off. When harvesting pods for human consumption, harvest when the pods are still young and pliable for eating whole. Older pods develop a tough exterior, but their pulp and immature seeds remain edible until shortly before the ripening process begins. When producing seed for oil extraction, allow the pods to dry and turn brown on the tree. Harvest them before the pods split open and fall to the ground. Seeds can be stored in well-ventilated sacks in dry, shady places.